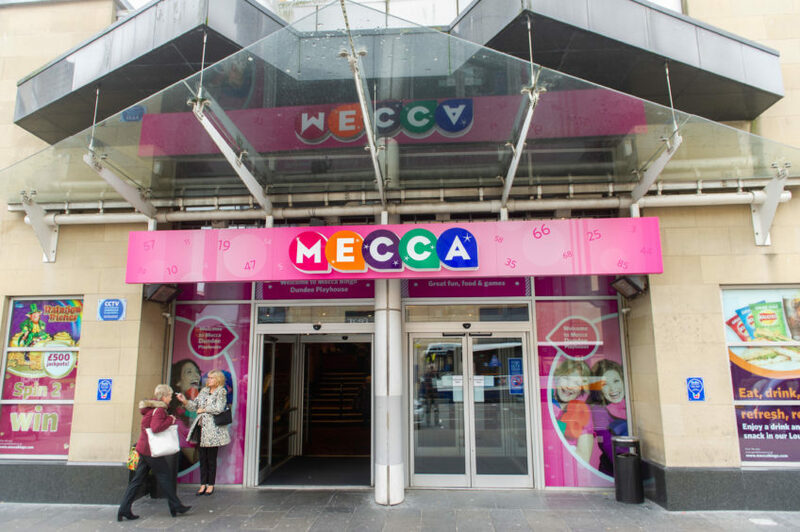 The plans would see Dundees Mecca Bingo hall transformed. 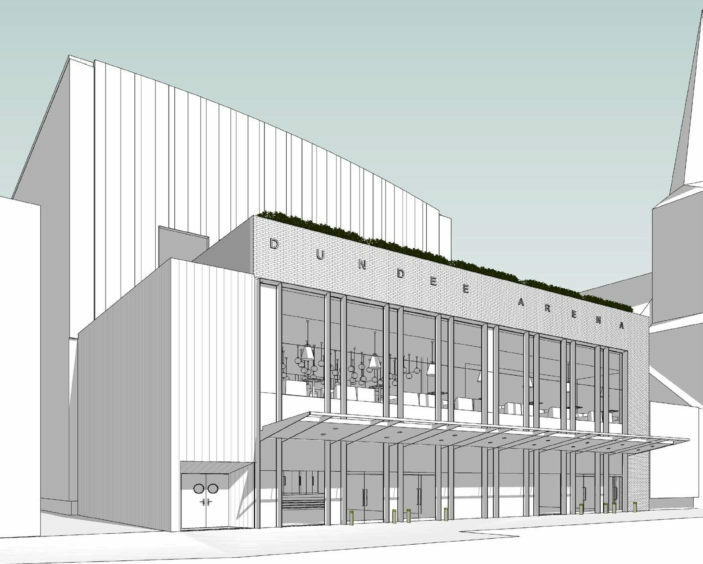 Plans for how a 6,000 capacity concert hall in Dundee city centre could look can be revealed by The Courier today. 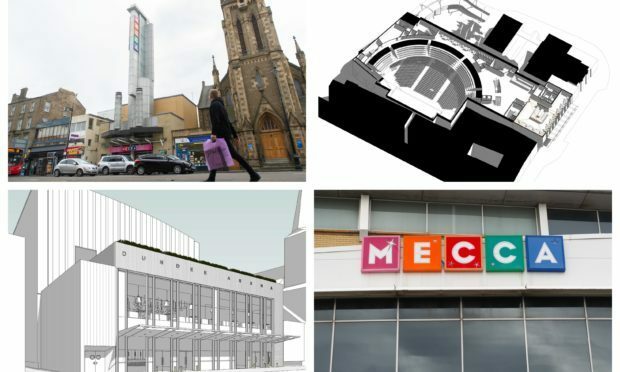 The ambitious proposal would see the Mecca Bingo in the Nethergate transformed into Scotland’s fourth largest concert venue. It would have an all-seated capacity of 4,775 over three tiers that could be expanded to 6,375 by incorporating standing on the ground floor. 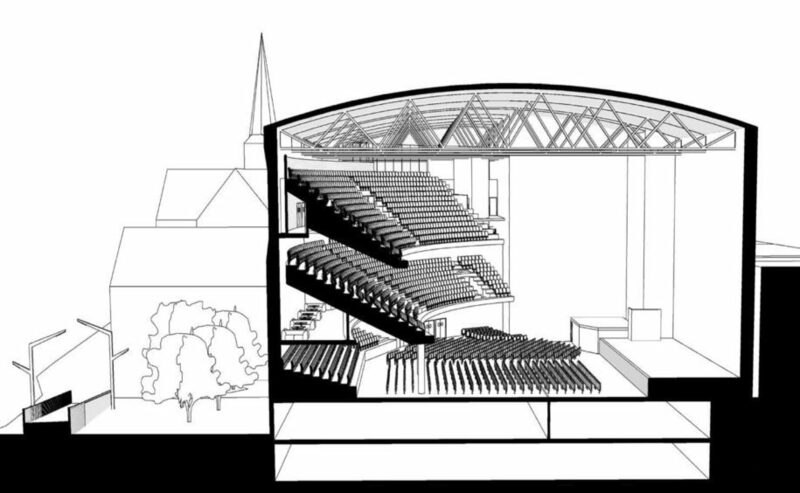 Plans for how a 6,000 capacity concert hall in Dundee city centre could look. Glasgow-based architects Wilson+Gunn, created the designs as part of a feasibility study commissioned by the property developers who own building. The study says the roof of the building could be removed to extend it upwards, with the Nethergate entrance extensively restructured to include a restaurant or café. The rear of the building on Yeaman’s shore would also be remodelled to create an entrance. Internally, the building would have 102 underground car parking spaces. 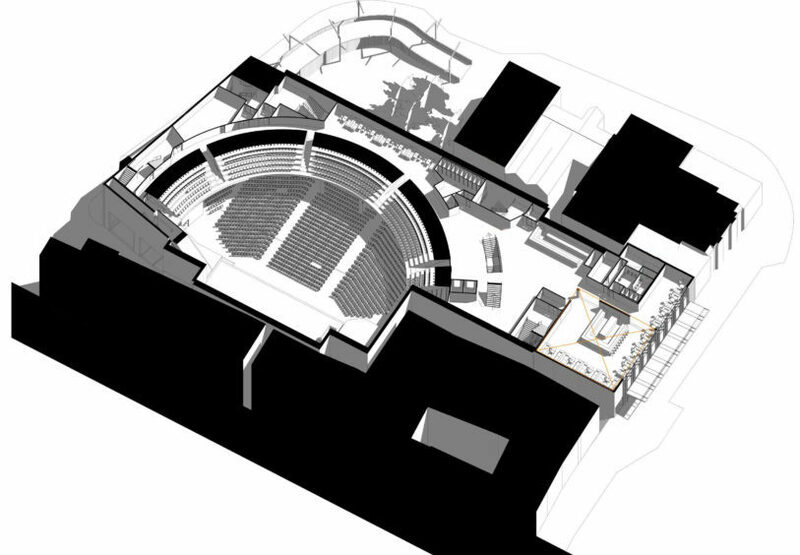 The ground floor would contain the auditorium, a bar, toilets and ticket office. There would be further bars and balcony spectator seating on the first floor while the second floor would have a corporate dining area and upper deck seating. Mr Stephen said redeveloping the Mecca Bingo building would be cheaper than building a new concert hall from the ground up. He said: “It makes more sense than building from scratch. A spokesman for the building owner stressed there are no firm plans in place for redevelopment at this stage. He said: “It is purely a feasibility study because of the interest and discussion around creating a facility of this nature in Dundee. The feasibility study states: “The proposed site is presently occupied by a Mecca Bingo unit of over 100,000 sq ft fronting onto the busy Nethergate to the north, while being serviced from the south on Yeaman Shore. “This position provides an ideal location for a major events venue in the centre of Dundee, and in the heart of the waterfront redevelopment area. “The site is extremely well linked to public transport routes and is close to the new Railway Station. “Dundee has a population of around 150,000 with a catchment from surrounding areas raising this figure to 480,000 people. “The City has existing city centre event facilities at the Caird Hall, however that venue is older and is limited to a maximum of 2,300 spectators. “The proposed arena is to be flexible and provide capacity for all-seating events Up to 5000, or 7000 with standing spectators. Mecca Bingo were unavailable for comment. If privately funded scheme goes ahead it would be another major boost for the Dundee economy following the opening of the V&A earlier this month. Developers are also looking to create a major new cinema complex on land across the road from the Mecca Bingo.